If you've been told that you have mild persistent asthma, what does that mean and what is the definition? What is done to diagnosis this stage of asthma, and how is it treated? What can you expect in the long run, and will it get better or get worse? Mild persistent asthma is one of the four types of asthma. People who suffer from mild persistent asthma generally have asthma symptoms more than twice a week, but not more than once a day (on average). Their nighttime symptoms occur more than twice a month. Asthma attacks may affect the day-to-day activities of people with mild persistent asthma. Symptoms such as difficulty breathing, wheezing, chest tightness, and coughing, all prior to treatment—Note that severe asthma attacks are possible in any asthma classification, even in the mildest classification of asthma. Your asthma can change over time. It is important to note that asthma is difficult to diagnose and classify in children younger than the age of four, as symptoms can be different from the types of asthma exhibited in adults or older kids. When not having an asthma attack, lung function tests are normal and vary little from morning to afternoon. Occurrence of symptoms is more than two days per week but not every day. Asthma attacks interfere with normal daily activities. Lung function tests are normal when not having an attack and may vary a small amount from morning to afternoon. A daily occurrence of symptoms and a short-acting inhaler is used every day. Symptoms interfere with daily activities. Nighttime symptoms occur more than one time a week, but do not happen every day and lung function tests are abnormal and vary more than 30 percent from morning to afternoon. Symptoms occur throughout each day and severely limit daily physical activities. Nighttime symptoms occur often, sometimes every night. Lung function tests are abnormal and may vary greatly from morning to afternoon. Once a diagnosis of asthma has been made, the doctor will prescribe asthma medications. The two main types of asthma medicines are quick-relief medicines (used for immediate relief when an asthma attack begins) and long-term control medicines, which are to be taken every day to prevent symptoms and asthma attacks. 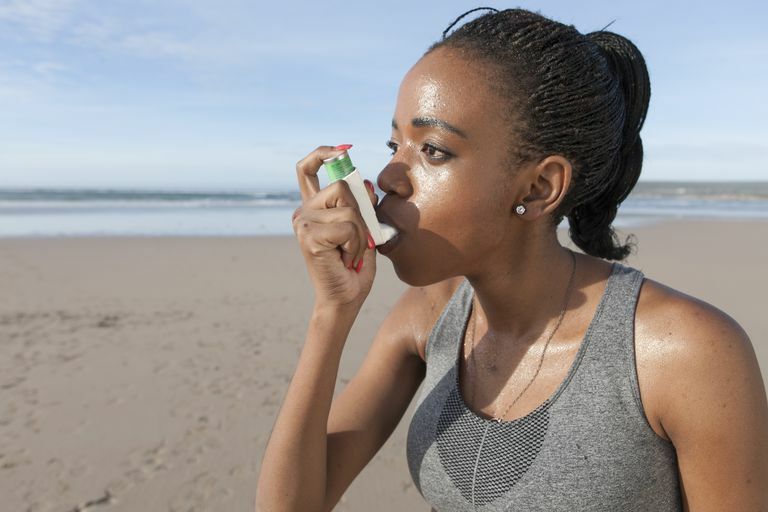 Over the years, the severity of asthma may fluctuate for many individuals, which means that medication and treatment may also fluctuate accordingly, with the ultimate goal being to keep asthma under control. As noted above, mild persistent asthma interferes more with a person's life than intermittent asthma but is not as severe as moderate or severe persistent asthma. In addition, anyone with any stage of asthma may develop a severe or life-threatening attack. If you are living with asthma of any type, make sure to have an asthma action plan in place. Though it is less likely with this classification than others such as severe persistent asthma, the possibility of a severe asthma attack is always present. It's important to be your own advocate in your health, and learning about the requirements of different types of asthma, as well as advice on how to manage your asthma day to day is one such step in a very positive direction. Good medications are available for treating mild persistent asthma but this is just one step in caring for your health. Make sure you are familiar with the triggers for your asthma. As a final note, make sure to learn about the 10 biggest mistakes that people with asthma make. Fanta, C., Treatment of intermittent and mild persistent asthma in adolescents and adults. UpToDate. Updated 03/18/16. Makikyro, E., Jaakola, M., and J. Jaakola. Subtypes of Asthma Based on Asthma Control and Severity: A Latent Class Analysis. Respiratory Research. 2017. 18(1):24.